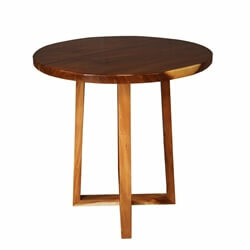 We take dining to new heights with our diverse and exciting collection of handmade, solid hardwood bar tables. 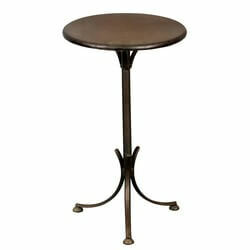 Our collection of small tables includes cafe tables and taller bar tables designed for elevated stools and chairs. 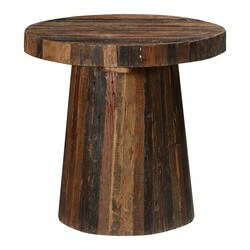 Little Tables come in all Shapes - Pick the shape that fits your space and style. Our collection includes classic round top café tables, traditional square high-top bar tables as well as innovative rectangular and oval top mini tables. 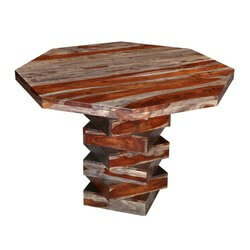 Table bases include handcrafted pedestals, double X, and four-legged supports. 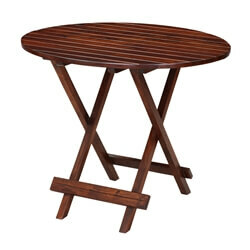 Novelty Cafe Tables - Let your playful side shine with whimsical and innovative bar tables. 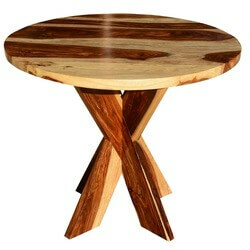 Beautiful wood is celebrated with our mushroom stool cafe table and 8-sided bar table. 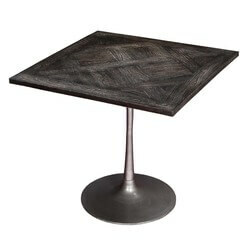 Get into the game with checkerboard and blackboard top tables. Beautiful Hardwood - Our solid hardwood mini tables are built with elegant woods including Indian Rosewood, Mango wood, and reclaimed wood. Custom Sizes - If you need a style to be a little bigger, taller or shorter just let us know. 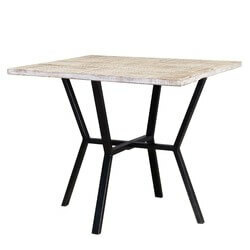 Many of our cafe tables can be customized to your specifications. Finishes and stains can also be done to your specifications. A bar table can turn any space into a cozy corner. A covered patio or porch can be transformed with the right little table. 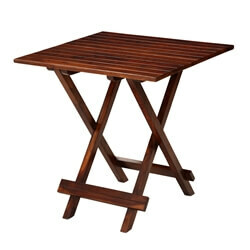 Create a separate space in your studio apartment with a cafe table. Take a little time to find the right little table and discover what a big difference it can make. 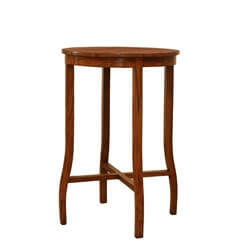 And don’t forget to check out our bar stools and chairs.